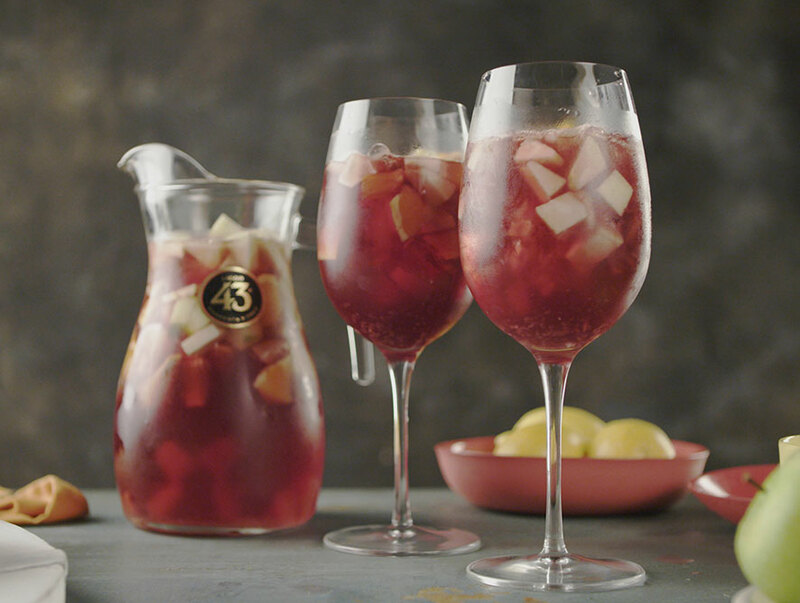 Soak diced fruit in Licor 43. After soaking, add red wine into a jug. Top with lemonade & stir. Pour into a wine glass. For best results, leave Sangria to soak & infuse for 15 minutes.